Commuters in Glasgow are being stopped and searched at random during an ongoing anti-terrorism operation. British Transport Police said officers were using new powers in train stations and the underground network. Ch Insp Alex McGuire said officers were not responding to any threat but aimed to make railways a "difficult target" for terrorists. The Muslim Council of Scotland said the powers end up being used discriminately against people that look Asian. Osama Saeed, of the council, said: "This gives the police the power to search people without having any suspicion of wrongdoing. "The searching of Asian looking people on an ongoing basis will simply lead to resentment. "This would be an unfortunate by-product of an initiative which as has been proved in London, yields zero results. "It is like searching for a needle in a haystack when there is no evidence the needle even exists." Police officers from London and sniffer dogs are involved in the searches. The operation got under way on Wednesday. 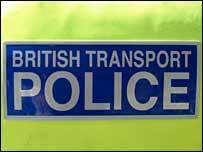 Commuters getting off trains are being met by police officers and sniffer dogs. BTP said section 44 allows officers "to be proactive in deterring and detecting those who are involved in terrorist activities". Ch Insp McGuire said the stop and search operation was a "matter of routine". "We hope that, as well as disrupting and deterring possible terrorist activity, it will also provide visible reassurance to the travelling public that police are being vigilant for their safety," he said. "We aim to carry out the operation with minimum disruption and would like to thank the public for their co-operation and understanding."